Admission to ISUtrecht is inclusive and we admit students with mild to moderate learning needs, in such cases that the school feels confident that it can provide optimally for the student’s care and education, without negatively impacting the safety or learning experience of other enrolled students. Once a student is accepted to the school, the staff are committed to guide and assist the student with any learning difficulties, where possible, to ensure equal access to the curriculum. For more information, please view the Learning Support Policy at the bottom of this page. The support structure is designed to provide support to students with learning, socio-emotional and medical needs. 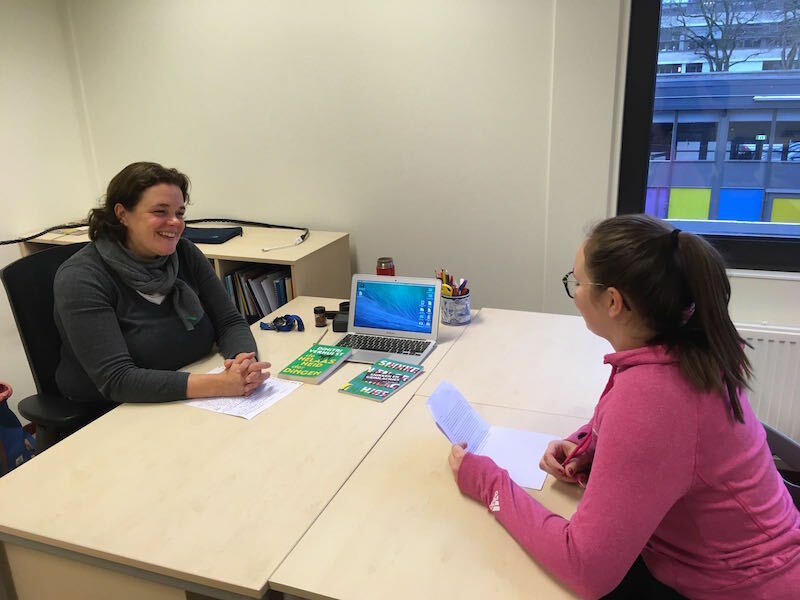 Secondary Student Support Coordinator (SCC), Josie Galemmo, frequently meets with mentors and teachers, ensuring the school has a responsive approach to individual students. In the Netherlands there are various helplines students and their parents could call, should they want to speak to someone outside of school about psychological or psychosocial issues or issues relating to alcohol, drugs and addictive behaviours. All the organisations listed can be contacted in English and their websites provide a wealth of information. When a problem arises, the secondary SSC is notified and ISUtrecht’s concerns procedure begins, if applicable. This procedure is comparable with the Dutch cycle of Handelingsgericht Werken; and it is a whole programme (MYP, DP) process, which includes the teachers, SSC, ELA specialist, leadership, and parents. The SSC is linked to many outside school services (professionals, Dutch agencies) to support the students. Additionally, the SSC is linked to a school counsellor, who is the school’s specialist advisor. The school counsellor advises the SSC, advises on testing procedures and also prepares recommendations for support. The ISUtrecht social wellness policy clearly demonstrates that the school community does not accept bullying at ISUtrecht and will tackle any bullying issues by predefined steps and actions. Please also view the Reporting Code for Child Abuse and Domestic Violence.